Ken Bridges was the co-founder of the MATAH Network who dedicated his life and gave his life to the upliftment of African Americans. 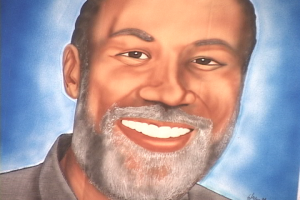 Ken was the 10th victim of the Washington DC snipers on October 11, 2002. Poem: If I should die on my way to freedom. At least, each morning that God blessed me to awaken and put my feet on the floor, I stood up and stood tall, put one foot in front of the other and began that day once again, on my way to freedom. At least I was on my way, each day with my Queen Jocelyn and my precious children around me – and each moment – pressing toward a future in which they would finally be able to rest from our long and harrowing journey. I knew there would be no rest for me, ‘cause I was on my way to freedom, and freedom is always an uphill climb. But, if I should die on my way to freedom, at least I was on my way. Unlike some of the Children of Israel, unlike some on Harriet Tubman’s freedom train, and unlike some of our brothers and sisters today, I was always determined to go forward. I was making my way to freedom, and nothing would turn me around. At least I was standing, but NEVER standing still. At least I was walking, and NEVER looking back. At least I was running, but NEVER running in place. At least I was striving, but NEVER striving in vain. If I should die on my way to the sweet light of freedom, at least on my journey the view changed everyday. At least I met and loved new brothers and sisters along the way. At least I persevered, pressed on, kept going, despite the daily roadblocks. At least I trusted God to make a way for me out of no way, and He always did, because He never fails. If I should die on my way to freedom, there’s just one thing that I ask. Put your arms of love around my Queen and my children and keep going! Fill my space with someone strong and unafraid, someone who can chart new courses, someone who loves and trusts his people enough to continue on to freedom. If I should die on my way to freedom, whether I am leading or following, pass the word down the line, distribute portions of my essence to my dear brothers and sisters, and tell them to keep going. Tell them I’m watching them, and tell them I love them. Tell them the chain is not broken; it just got stuck for a little while as we were going through a tight space. Tell them what I told them when we had our family talks. “Let’s go get our freedom,” the MATAH rallying cry. Ken Bridges Day, June 24th is primarily a day of remembrance to honor our fallen ancestor, MATAH co-founder, author, visionary, hero, Ken Bridges. Remember, Ken was assassinated Friday, 10.11.02, during the Wash., D.C. area sniper attacks. Additionally, it’s a day to honor all our ancestors who understood the importance of developing the Black economy: Madame C.J. Walker, Marcus Garvey, S.B. Fuller, A.G. Gaston, Booker T. Washington, Reginald Lewis, Amos Wilson, etc. All conscious Africans should commit to using Black produced products in their homes by ‘giving and buying’ Black from Black owned businesses to help build our economy and children’s future. “All I have I have given you. I have sacrificed my home and my loving wife for you. I entrust her to your charge… I have left her penniless and helpless to face the world, because I gave all, but her courage is great, and I know she will hold up for you and me…” Marcus Garvey, Letter from Atlanta jail. Mail your donation with a card of thank you to the family before June 24, 2014. Thank you. Donate online for Ken Bridges Day, June 24 by clicking below. We are requesting a donation of $65. One dollar for each year Ken would have been alive. June 24 would have been Ken’s 65 birthday. You can add a note of thanks with this donation. For a donation of any amount use the button below. 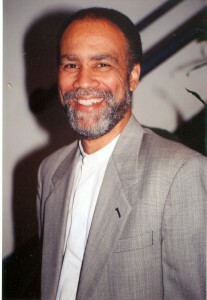 Inspired throughout his life to uplift people of African descent while empowering the economic state of Blacks, Kenneth Bridges was a unique individual to many. Sadly, leaving a business meeting in Washington, D.C., three years ago this month, Bridges was fatally shot and killed, becoming a victim of the Washington area snipers, John Allen Muhammad and John Lee Malvo. 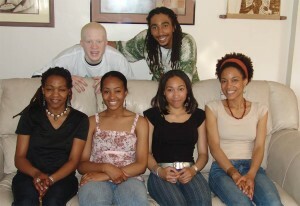 A family-oriented man, Bridges viewed his six children and wife as being a blessing from God. He was also known as a man who balanced the love he had for his family with the passion he had for strengthening the Black community. With his wife, Jocelyn, Bridges loved his children, from the oldest to the youngest: Aja, April, Justin, Joshua, Alana, and Alyssa. They collectively describe their father as being a loving and caring man, who thought family first, by all means, then his community. Only April and Justin were able to talk to the Tribune on the anniversary of their father’s death. “He was an extremely unique individual who had insight on people,” said close friend to the family Bob Lott. Lott was one the three people to speak with Bridges within 45 minutes of his death. “He should be mentioned with the likes of Marcus Garvey, Malcolm X, Dr. Martin Luther King Jr. He was a powerful speaker who was always up beat,” Lott said. “I had an opportunity to go with him on a few business trips, and the whole time he could be on the phone with someone in another time-zone, go to a meeting, then leave the meeting, and be back on the phone conducting more business,” Lott said. Bridges was an educated businessman with a graduate degree from the University of Pennsylvania’s Wharton School of Business. He had a vision to establish a vehicle that would redirect the spending habits of African Americans. Justin Bridges said his father wanted his people to concentrate on spending money that would benefit the community. “He wanted people to think of ways they could use their money to create businesses and institutions,” he said. “He wanted Black people to become consciously aware of their spending habits.” It has been reported that Black America spends over $750 billion annually – the seventh richest economic engine in the world. Bridges’ background in business led him to a successful marketing executive position at the Scott Paper Co. in the early ’80s, but after a few years he felt compelled to start his own business. He believed he could not achieve “true freedom” working for corporate America, and he eventually resigned from Scott Paper to focus his attentions on his part-time business. Many questioned his motive for leaving a life filled with the perks of being a top executive, but Bridges had a life-long commitment to his people and to himself. After leaving corporate America, he got involved in Amway, a multi-level national marketing system, where he was able to establish relationships with over 3,000 distributors across the country. There he reached the highest rung of success – the Diamond Direct Distributor level. But he decided to leave the company after unsuccessful attempts to get Black-owned and produced products through Amway’s channel of distribution. He then decided to cancel operations, but made a pact to himself, that he would return to the world of distribution when the right time presented itself. Approximately one year later, Bridges jumped back onto the scene with graduate school buddy Al Wellington to form People Organizing and Working for Economic Rebirth. P.O.W.E.R. was a direct sales business designed to create a channel of distributed goods and services manufactured and produced by people of African descent. Through this organization Bridges was able to build friendships and networking relationships with a lot of well-known African Americans. The Honorable Minister Louis Farrakhan served as P.O.W.E.R.’s national spokesman and George Johnson, owner of Johnson Products Co., agreed to become its first product manufacturer. The business looked like it was on the right path, but folded due to various circumstances. It was not until 1995, the year of the Million Man March, and some intuitive research that Bridges and business partner Wellington would finally reconstruct their vision of a Black channel of distribution company and form what is known today as the MATAH Network. “We have to continue to keep his dream alive, and we’re reaching out to the community for support, especially from Philly,” said April, who now serves as the customer service representative for MATAH. “It’s been kind of difficult because he was the heart of the organization, and we know when you lose the heart of something it’s difficult, but where still here,” she said. Justin Bridges is still hosting the talk show his father started with him. 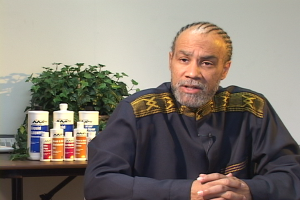 Initially, the elder Bridges gave his perspective on internal reparations from an adult view, while Justin voiced his opinions as a young adult. “MATAH Rebel Black Waves Internal Reparations” is aired on 900-AM on Saturdays evenings from 7-8:30 p.m. The family and close friends of the Bridges are diligently working to establish the Ken Bridges Foundation, and are acknowledging July 24, his birthday, as Ken Bridges Day. Philadelphia Tribune article recreated with photos by Bob Lott. The first time that I heard Ken speak, I felt as those who heard Malcom, King or Frederick Douglas speak, the need was never so clear, the urgency was never so close, and the love for our people was never so great. This man was about the sacrifice for me, for us, and our future. Time after time, meeting after meeting, my appreciation for Ken has only grown. I have told my family that this man, these men, are men of history. That what they do today will impact our people for generations. I count it an honor to give them my strength. The last time that I saw him, we were talking about the importance of the work for our people. The last thing he was doing was handling the business of Black economic empowerment. The last struggle that he has had is over. The first time that I meet Ken Bridges, was during a meeting in which he and Greg drove down to meet us in Cincinnati. To discuss the vision of MATAH’s internet initiative and to check us out. To make sure, that the technology arm of MATAH would be in good hands. What I saw was a brother of vision, insight and deep love of our people. `Reparations is mostly about making repairs, on ourselves: mental repairs, cultural repairs, institutional repairs, economic repairs …. repairs of every type that we need in order to recreate and sustain viable Black societies.` Professor Chinweizu, First Pan African Conference on Reparations, 1993. External – What we receive from the U.S. Government and U.S. and foreign corporations for their part in slavery, which was a crime against humanity. Internal – What we give to ourselves, love of self and love of race, leading to significantly more Giving and Buying Black in particular and in general, supporting pro Black initiatives. Work on both simultaneously. However, it is clear that if we got External Reparations today, we would give 95% of the financial benefits to everybody except other Black people. That`s what we do right now to our nearly $600 Billion consumption spending power. Now when we give ourselves Internal Reparations, or internal repair, we will love our race and ourselves more. What Are Some Things That You Can Do To Bring About Internal Reparations? Step 1. Know Thyself … Get more knowledge about who you are as a descendant of Ancient Africans. Go to Black Book Stores to purchase material, ask the store owner for their recommendations, we recommend, Journey of the Songhai People by Dr. Edward Robinson, Jr. Step 2. Join organizations with like minded people. For example, people who believe that `They Owe Us` External Reparations and `We owe ourselves` Internal Reparations. Today you can join N`COBRA, December 12th Movement, NBUF, UNIA, NBPP, MATAH, etc. Step 3. Participate in MATAH Network, the only national Black owned Channel of Distribution, linking up Black Producers with Black Consumers for the purpose of keeping the Black dollar in Blacks hands much longer. This vehicle creates the opportunity for personal wealth, organizational wealth, business wealth and thereby, community wealth. Become a consumer or Business Center with MATAH today. Step 4 Start Giving and Buying Black as much as possible. Start today with the Vendors at this event and the non profit organizations with booths here today. – While our consumption spending power is impressive, nearly $600 Billion annually, we consistently give over 95% of this to non Black owned businesses. In short, we make other people wealthy, while Black owned businesses are not adequately supported. – The 1997 census revealed that Black owned businesses accounted for a pitiful .4% of the total business receipts. We represent 12% of the population and only .4% of the business receipts??? We have enough collective wealth to literally wipe out Black unemployment, which would raise income and hope and thereby stimulate a severe reduction in crime. The solution is to simply re-direct more of our own dollars back to ourselves. This is Internal Reparations. Become a Network Consumer (NC) … Get on the monthly AutoShip program to ensure consistently Giving and Buying Black. NOTE: MATAH is not currently operating, so references to purchasing products or membership from MATAH do not currently apply. Complete text above is for historical purposes.